Dental injuries result in thousands of visits to the emergency room every year, and many of these injuries occur while engaging in sports and recreational activities. Whether playing on an organized team or joining a spontaneous game with friends, athletes are much more likely to suffer a dental injury when not wearing a mouthguard. 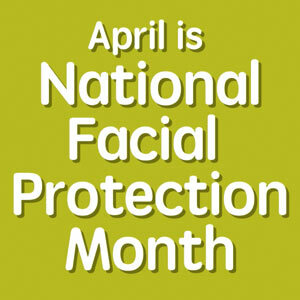 Five national dental organizations have joined together for National Facial Protection Month to urge athletes to use a mouthguard during both practice and games. The American Dental Association and the Academy for Sports Dentistry recommend using mouthguards for over 30 sporting activities. While it comes as no surprise that mouthguards are recommended for football, hockey and basketball, the list also includes many activities that may not immediately come to mind—among them, surfing, ultimate frisbee, skateboarding, volleyball, skiing and bicycle riding. In short, it’s wise to protect your smile while participating in any activity where your teeth may make contact with a hard surface. A properly fitted mouthguard can prevent injuries to the teeth, mouth and jaw, and may even help protect against head and neck injuries. Even those who participate in casual recreational activities should consider a mouthguard as an insurance policy against future pain and expense. There are three types of mouthguards: a stock mouthguard that is bought ready to use from your neighborhood store, the “boil-and-bite” type that is formed to the mouth after being softened in hot water, and a custom-made mouthguard that is available from the dental office. Although any mouthguard is better than no protection at all, the best protection and most comfortable fit comes from a mouthguard that is custom-made by your dentist.